It all began one day when Sheila Bebchick and her husband, Les, were driving down Route 1 in Saugus. 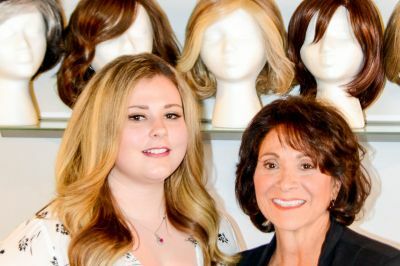 They saw a sign for Sylvia Caruso’s Hair Studio and Wig Salon and decided to give it a try. A stage IV metastatic breast cancer patient, Sheila had tried four different wigs over the 10 years of her treatment, yet none of them made her feel like herself. That all changed when she met Sylvia and her colleague Angelica Gentile.